Actual lease price determined by your authorized Porsche dealer; your payments may vary. Closed-end lease offered to qualified lessees with approved credit by Porsche Financial Services through participating U.S. dealers. Must take delivery by 4/30/2019. Estimated payments based upon MSRP of $69,400 (includes delivery, processing, and handling fee) for a Model Year 2019 718 Cayman with the following options: Metallic Paint, Premium Package Plus i.c.w. Power Sport Seats 14-way, Side Window Trim in High Gloss Aluminum, 20" Carrera Sport Wheels, Power Sport Seats (14-way) with Memory Package, BOSE® Surround Sound System. Model pictured may have optional features and equipment. Price excludes any title, taxes, registration, license fees, insurance, maintenance and dealer fees. Lease payments of $649.17 for 24 months total $15,580.08 based on the adjusted capitalized cost of $61,530 (requires dealer contribution which could affect price). Total due from customer at signing $6,019.17 (first month’s payment, acquisition fee of $995 and capitalized cost reduction of $4,375). No security deposit required. At lease end, lessee pays excess wear, $.30/mile over 10,000 miles and $350 disposition fee. Purchase option at lease end $49,274 plus taxes. Specific vehicles and options are subject to availability and your price may vary. For additional information see your participating authorized Porsche dealer or visit Porsche.com/usa. Excludes any title, tax, registration, license fees, insurance, maintenance and dealer fees. No Security deposit required. They say it’s important to know yourself. It’s clear that the new Porsche Cayman knows exactly what it is: one of the finest luxury sports cars available on the market today. That much is obvious at first glance, but with a single push of the accelerator you’ll know exactly what we mean. Now drivers in New York and New Jersey have another reason to look for themselves. Town Porsche in Englewood has Cayman lease offers almost as impressive as the car. Contact us at (201) 227-6500 to schedule a test drive today. Financing a new car makes sense, but it’s only one of the options available to our customers. 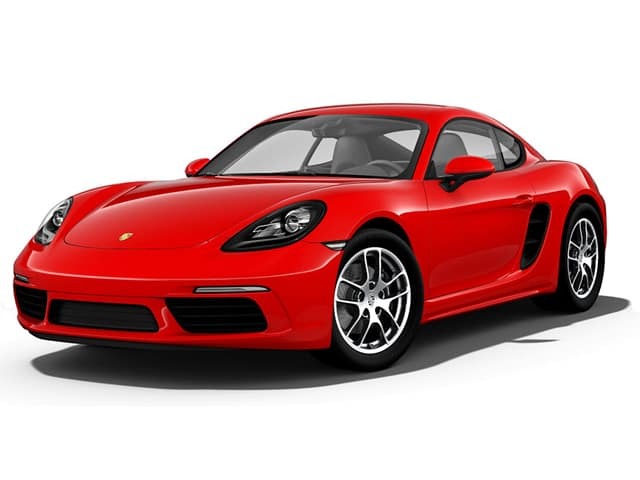 We have assembled Porsche Cayman lease offers to unlock luxury for the masses. Not only is a lease a great way to pay less each month for a brand-new Porsche, but it also provides more flexibility given the lower down payment and shorter time commitment. Our Cayman lease offers are nothing short of remarkable. From the Bronx to Bergen County, countless customers know where to go to find the best prices on quality new and pre-owned vehicles: Town Porsche. Porsche has a long-standing tradition of making iconic automobiles, and the Cayman is another perfect example of what makes a Porsche a Porsche. This is a pure sports car, with growling horsepower, ridiculous take-off agility, and athletic handling even at high speeds. Choose from the following four trim levels to find your perfect balance of style, power, entertainment, and comfort, and we’ll help you lock in the best Cayman lease offers. Cayman The base model boasts ample horsepower and sporty 18-inch wheels. Cayman Black Edition The Black Edition model drives you forward. While giving you its full backing: the six-cylinder mid-mounted engine. Cayman S Upgrade to more power, a better sound system, and red-painted brake calipers. Cayman GTS With an even bigger engine, the GTS’s top speed exceeds 175 mph. Cayman GT 4 Capable of reaching 60 mph from a dead stop in just over 4 seconds. 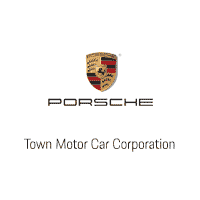 Proudly serving customers from Rockland, NY, to Passaic, NJ, since 1983, Town Porsche wants to connect you with your dream car. As our Cayman lease offers prove, that doesn’t have to break the bank. Call the talented team in our Englewood showroom at (201) 227-6500 to get behind the wheel of the new Porsche Cayman today. Lease offers like these won’t last forever.